Show off your fierce style! 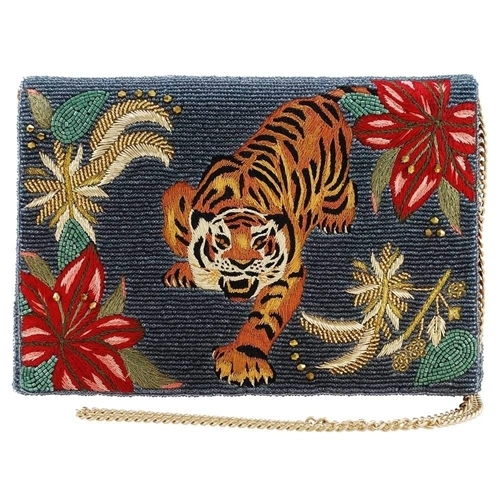 This beautiful bag features a lux combination of hand-beading and embroidered detailing with a a striking tiger and flowers. Carry by hand or attach the chain strap for hands-free carry. By Mary Frances. Convertible clutch with all over beaded detailing. 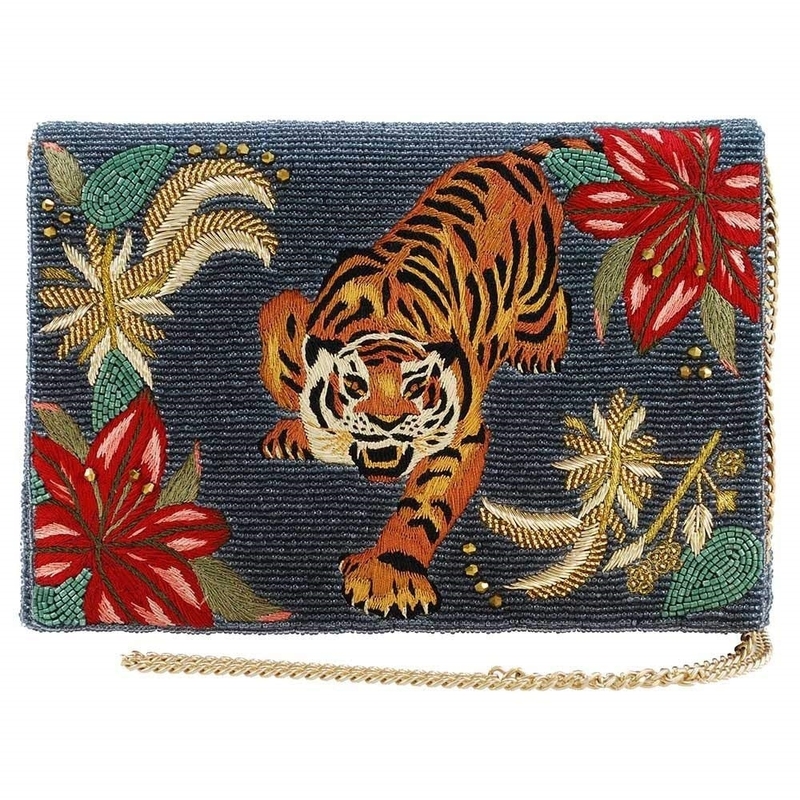 Features embroidered striking tiger and flowers. Exterior back slip pocket. 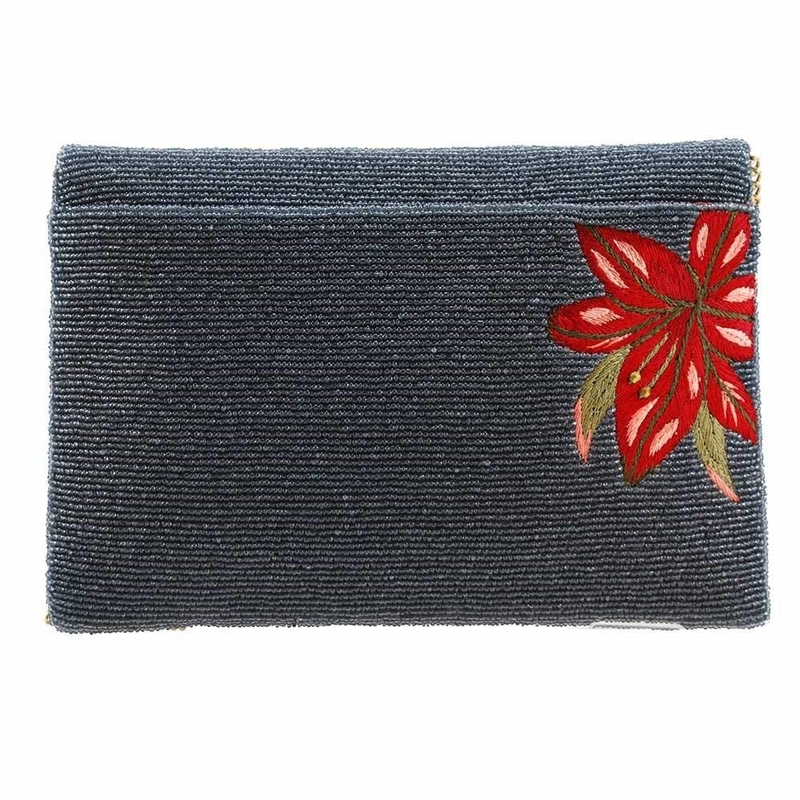 Embroidered flower at back.